2) A great article summarizing how to improve Crossfit training. It’s really just a good article on programming and layering movements (not just for Crossfitters). 4) Great read on diet and the human microbiome from Eirik Garnas. 9) Isometrics decrease the blood supply to the muscle, thus making it a great anaerobic exercise. From a neuro perspective, it increases the neural drive. These two benefits alone make it worthwhile for your training program or your patients rehab. 10) In rehab and fitness, the pendulum eventually swings the other way. Kathy Dooley explains how the popular knees out cue can be the wrong cue for your patient. Don’t sacrifice tripod foot for proximal alignment. 11) The unathletic population can sometimes have difficulty performing MDT shoulder resets. Here are 3 variations to help troubleshoot this problem. 13) “A big grip tells the brain that the position is a stable one and it is safe to generate a lot more force without risk of destabilization and injury.” Great post from Seth on the importance of grip strength and the nervou system. Here’s another article on grip strength I wrote a couple months ago for Physiospot. 16) Chris Johnson introduced me to the power of expectations and placebo with this article. It’s important to be aware of this aspect of treatment and to know how to use it to improve outcomes. Here’s another article on the placebo effect and how it can be a good thing. 17) “It doesn’t matter how much force you can generate with your extremities if your trunk is not strong enough to oppose and transmit it; and it doesn’t matter how rigid you can make your core if the contraction is not timed properly based on the specific movement demand.” Nice article on half-kneeling from Quinn Henoch. 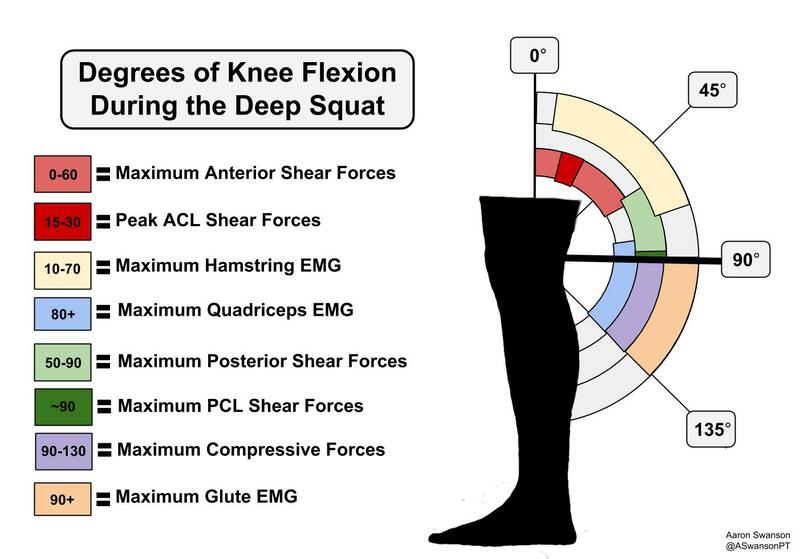 20) I created this image to simplify the forces associated with the deep squat. It seemed to get a lot of attention on twitter this month. 21) “We should recognize that in some cases, one of the quickest and easiest ways to change motor control is to change the structure of the body which we are trying to control.” –Todd Hargrove on how structure affects function. Great example using the stepping behavior during infant development. 22) “Hip socket depth, which is an anatomical variant that can’t be stretched, trained, or undone without surgery, is one of the main biomechanical influencers in how low you can go into a squat before you essentially run out of range of motion and have to find it elsewhere” Great article on hip joint morphology and it’s association with the deep squat by Dean Somerset. 23) Mike Robertson has the most thorough exercise tutorials. Here’s his new one on the push-up (and variations). 25) David Butler has been stirring the pot lately. He wrote a post on cancer and whiplash here. Then Alan Taylor wrote a rebuttal. It’s kind of an angry response, but he has some good points. Overall I think we should spend less time trying to nullify other approaches and more time trying to share positive knowledge to improve our patient care. 29) Are broken bones stronger after they heal? Answer is here. 30) Tommy John surgery has been getting a ton of publicity this year. Chris Butler put together a nice collection of articles to catch up on why. 31) People You Should Know – Vladimir Janda is one of the most influential movement specialists of all time. However, he is much more than simply the guy that founded the Upper & Lower Crossed Syndrome. “He was one of the first physicians to combine therapy and medicine in a ‘hands-on’ approach, becoming one of the earliest to practice physical medicine and rehabilitation.” In a time where everyone was focused on isolated strengthening and passive joint structures, Janda developed “Sensorimotor Training” and focused on balance and function. 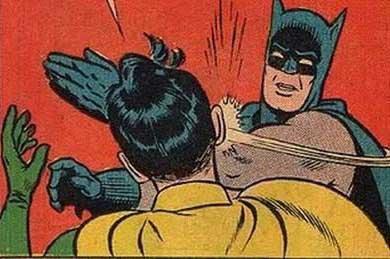 Pete Friesen‏ @petef08 – If you don’t like the output, then change the input.